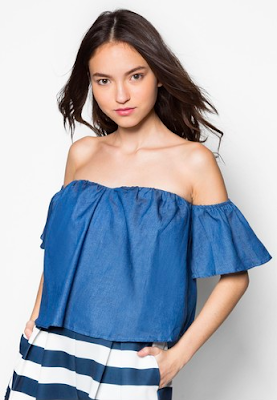 Hooked on Zalora! | Vanity and Everything in Between. 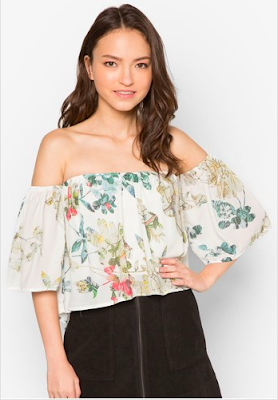 I bought 3 other dresses for work but for some reason, I can no longer open the link so I couldn't take a screenshot of the item (yup, all photos are from Zalora.ph). I'm guessing they're already sold out. I also bought 3 lipsticks from Colourette and 1 set of bikini but they're still on their way to my shipping address so I didn't take a screenshot of those yet. In case, I haven't said it enough.. I'm really happy with my purchases because all the clothes fit really well. I've always had hesitation purchasing clothes online because it might not fit me. Good thing with Zalora is that you can exchange items if they don't fit you or if they're damaged. But hey, I'm lucky cos everything is in very good condition and they fit like a glove! For reference, my size is small. Zalora asked me to be one of their Brand Ambassadors before but I turned it down. Now, I can't even remember why I turned it down. Oh well. Hope they ask me again. Haha! 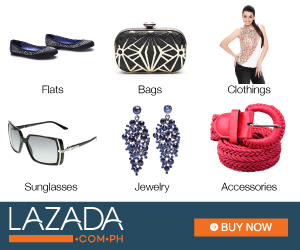 I currently love shopping at Zalora.ph because of the coupon codes. 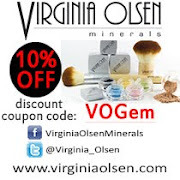 I saw their coupon code last week and I was able to get a 20% discount on the total amount. Two weeks ago, I was able to score a 15% discount. Their usual discount ranges between 10-15%. So, if you see a coupon code higher than that, use it! You get to save a lot. Less time and gas wasted! To get you started with your Zalora shopping experience, use ZBAPQSNZ and get a 15% discount on your total bill. No minimum purchase required! Coupon is valid for new subscribers and for one time only.